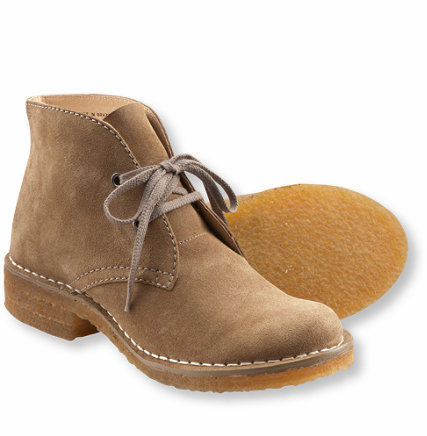 Well, I’d BEEN searching for easy to wear suede shoes like that ever since my days in Paris during grad school, where French dads would wear them as a throw back to countryside living. So provincial! 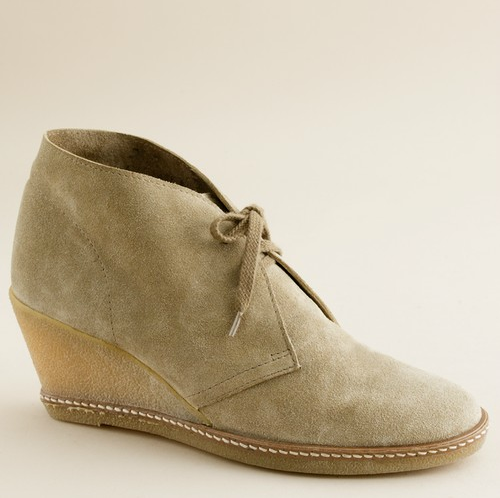 MacAlister wedge boots, J.Crew, $198, buy here. Price tag too scary for you? Well this Fall this shoe is popping up EVERY where. I saw a similar pair at Aldo, Bakers, Nine West and even TJMaxx! If you’re seriously on a budget, you can even find them right now at Target for about $30. And I’m seeing them come in lots of variations to suit each of you, pointy toe, almond toe, narrow wedge, rubber wedge, or totally flat, and in loads of warm fall colors. I recommend a muted neutral shade, why? Because as suede gets roughed up, the neutral colors will still look well loved and merge into the natural suede texture underneath the dyed layer as they fade/scuff. Bright colors will just look old or scratched as they scuff up. 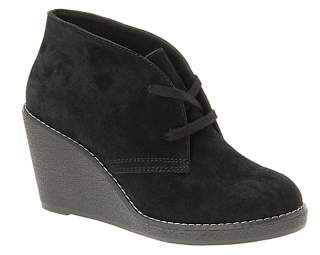 SCHREUR boots in black, Aldo, $80, buy here. 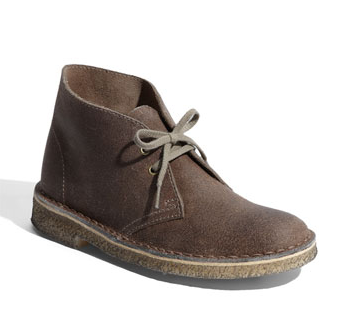 Classic Chukka Boot, L.L. Bean, $89, buy here. Clark’s Original Desert Boot, $100, buy here. Kingston, Bakers, $70, buy here. I just made a quick set on Polyvore to explain, will take a snap of my actual look later! What do you think? What would you wear these with? Comment to let me know, or send me pics of your looks!